Led by Dylan Bassett, the African Drum Ensemble at KU, known by its acronym ADEKU, is a performing ensemble made up of KU students and community members. Each semester we perform throughout the region. 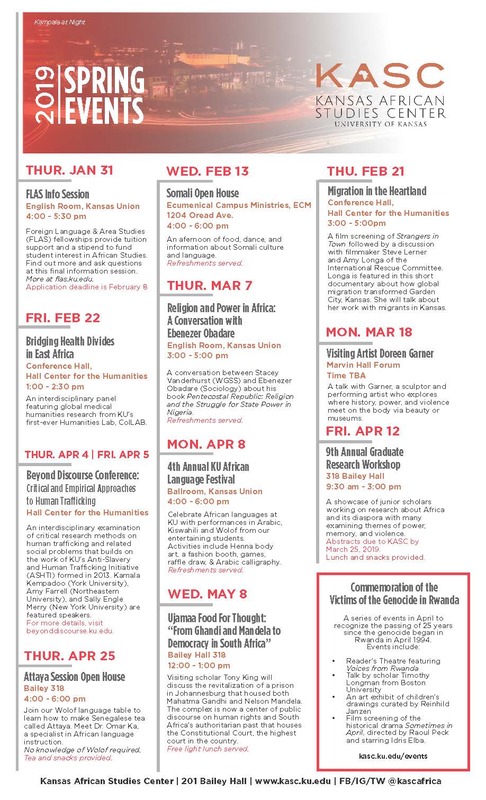 ADEKU was created in 2007 by Khalid El Hassan, the Associate Director of the Kansas African Studies Center, through a grant from Chancellor Hemenway that funded the purchase of instruments. ADEKU performs traditional music from three main areas in West Africa. We play rhythms from the ancient empire of Mali, which today encompasses areas of Guinea, Senegal, Mali, Sierra Leone, Cote D’Ivoire, and Burkina Faso. In this tradition we play djembe, dunun and djabara. We also play sabar drums from the Wolof of Senegal, which include four different drums: mbeung beung, nder, tungune, and chol. And finally we play twinshin, atoke, and axatse from the Ga people of Ghana. Each semester we explore approximately 10 different traditional rhythms. Learn more about our upcoming performances by visiting our ADEKU Facebook page. Each semester, new members are welcome to join during the first two weeks of classes. 2.5 hours of rehearsal/week; 16 Rehearsals/Semester. 4-6 Performances for KU Each Semester. 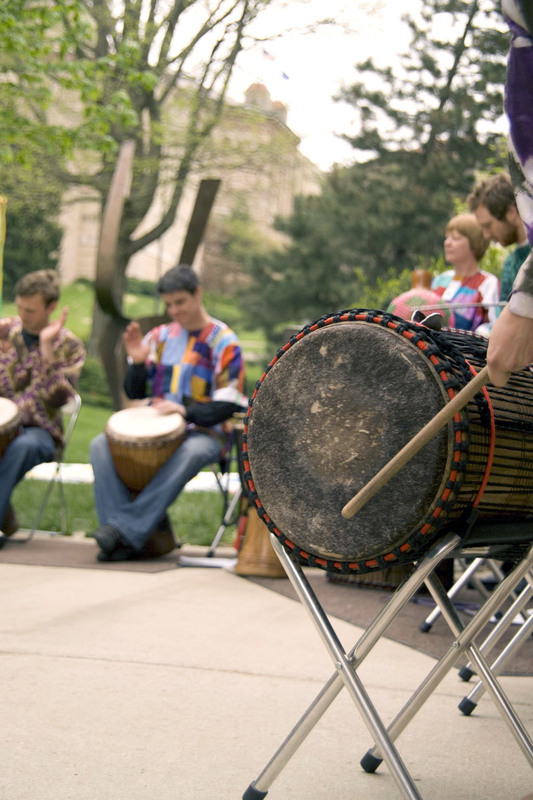 A one-credit West African Drumming course (PENS 252) will be offered in summer and fall 2014.